We have set meal times and the littlest one is always asking, “Is it lunch time yet? Middle to lunchtime? Is it snack time? Middle to snack time?” Lunch time is pretty much on the dot at noon everyday and snack time is always at 3:30pm, but I guess telling time isn’t her strongest suit. Lunch is pretty much the previous day’s dinner, but I’ve been stumped lately on what to serve for snack. It’s been pretty monotonous, so I’m trying to figure out other options for the girls. 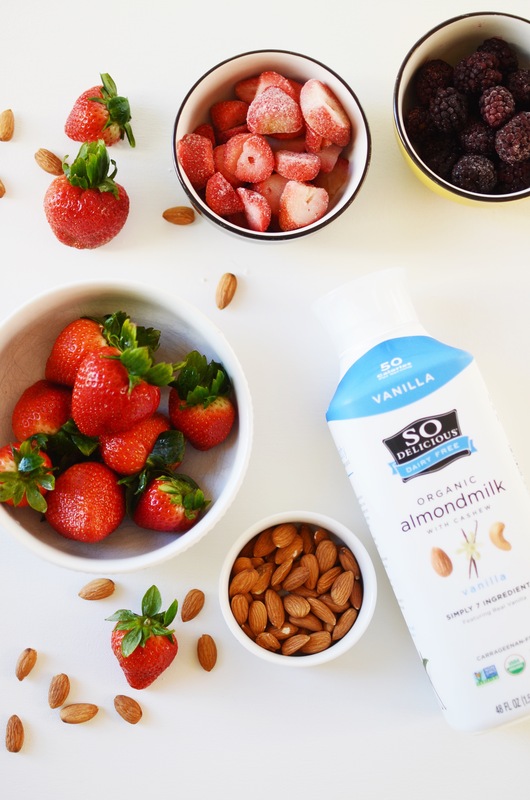 Therefore, I’m teaming up with So Delicious Dairy Free Organic Almondmilk to come up with something I know they’ll enjoy. 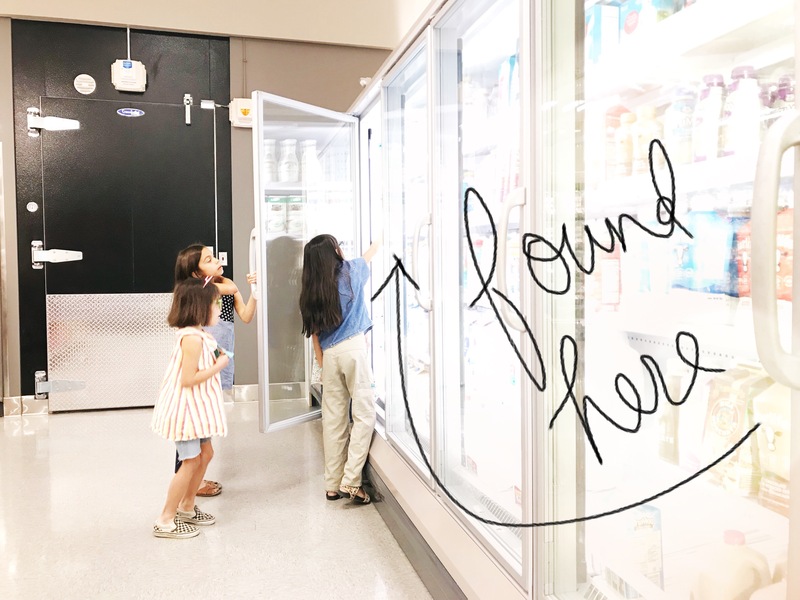 To pick up the So Delicious Dairy Free Organic Almondmilk, we headed to Target (check here to locate a Target near you that carries it) and found it waiting for us in the cooler of the market section. I’ve totally been impressed with the changes Target’s been making lately, feels very much like Tarjay. If you treat your grocery budget like a game, and try to save as much as you can, download the Cartwheel app and you can get 20% off Cartwheel offer on So Delicious Dairy Free from 2/18 to 3/17. 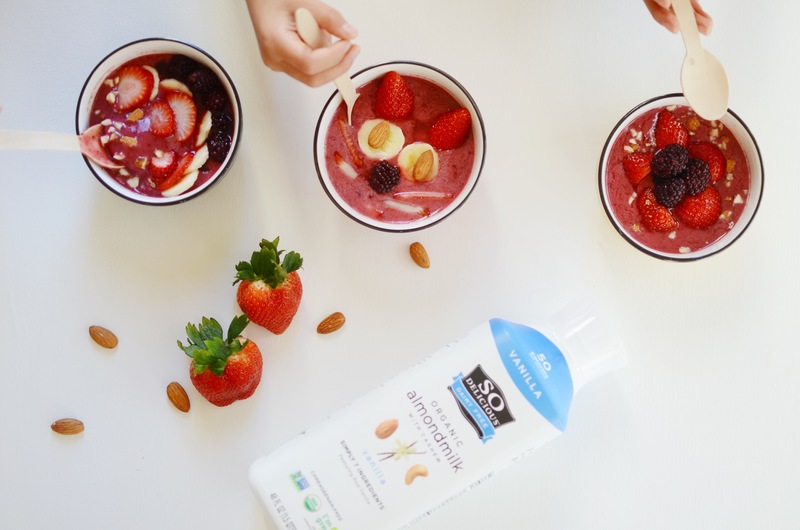 I love how Target is a one stop shop, so we proceeded to pick up some frozen organic berries and other fresh fruit, and we had everything to make our smoothie bowls. 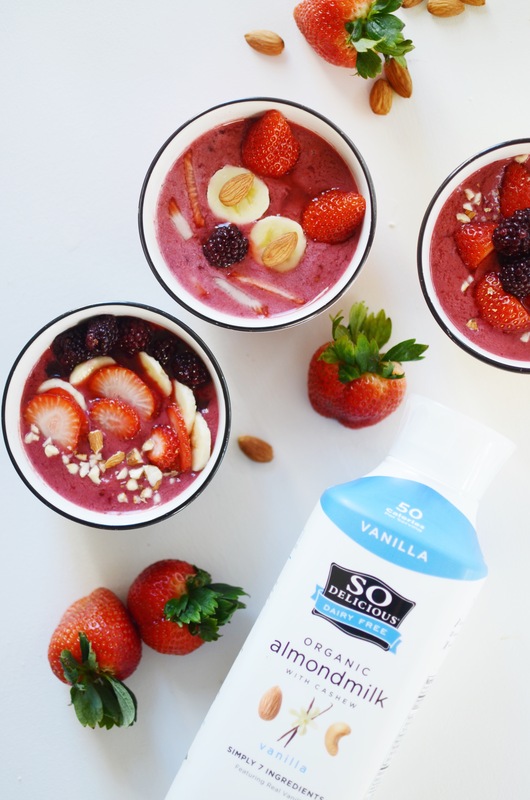 Combine the frozen strawberries, blackberries, and So Delicious Dairy Free Organic Almondmilk in a blender until completely mixed. Pour into a small bowl for each child. 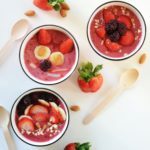 Have children decorate their own smoothie bowl! They can create flowers, animals, and rainbows from various fruit & nut toppings. 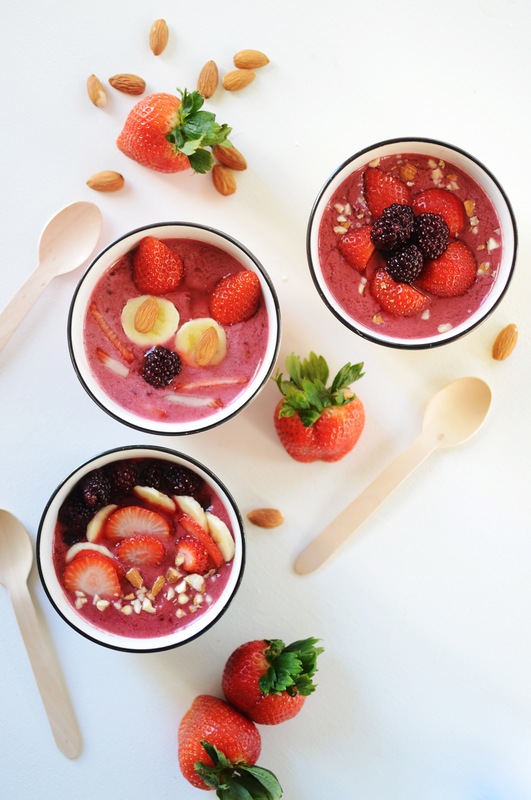 The girls had so much fun decorating the top of their smoothie bowls and they had even more fun devouring it. We stopped consuming dairy milk a few years ago in an attempt to be more plant-based. We aren’t full on vegetarian, our motto is everything in moderation, but we do limit our meat consumption and up our intake of fruits and vegetables. Being married to a dietitian ensures we are making good food choices and that certainly includes what we feed our kids for breakfast, lunch, snack time, and dinner. We definitely loved the So Delicious Dairy Free Organic Almondmilk, and as I attempt to be an ingredient conscious parent (moderation, right? ), I appreciate that the number of ingredients in it doesn’t exceed my two hands, and that even the container is plant-based. Now, if you have a child with a nut allergy like I do (1 of 4 of my girls can’t consume nuts, so making this with So Delicious Diary Free Coconutmilk will work better for them). 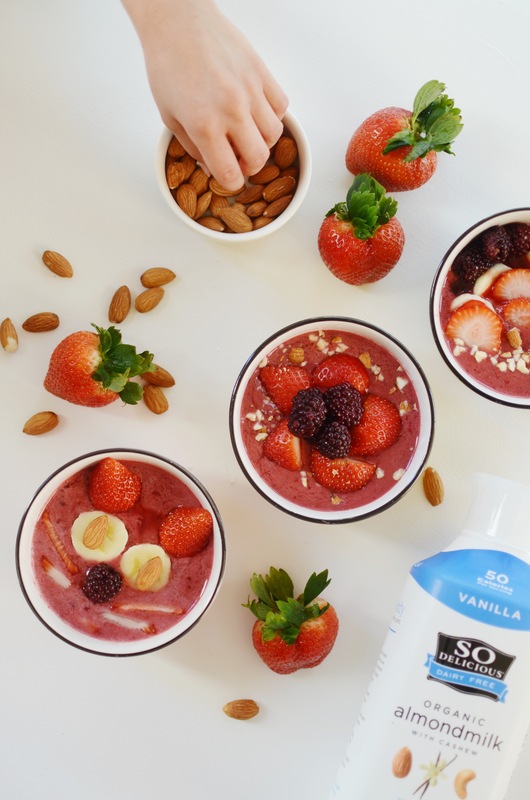 There will for sure be future experimentations with various versions of this smoothie bowl for snack time. Plus, you get extra points with the kids if you make something delicious and cute! 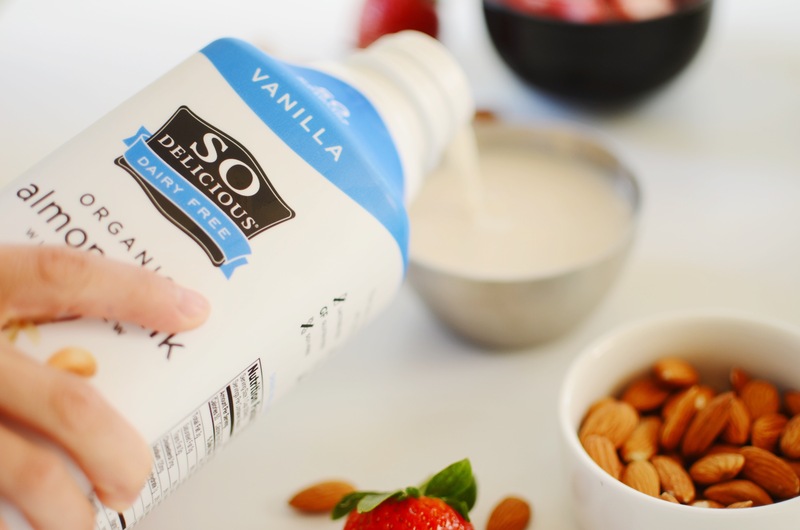 This is a sponsored conversation written by me on behalf of So Delicious Dairy Free. The opinions and text are all mine. Thank you so much for the support you give this space and the brands I partner with!